Pakistan continues to be one of the most dangerous places in the world for journalists, an uncomfortable truth highlighted by yet another murder of a mediaperson on November 22. Television journalist Hafeezur Rehman was shot dead by unidentified people in Kohat, only weeks after a fellow professional, Zaman Mehsud, was ambushed in a similarly ghastly manner by gun-toting thugs in Tank district. As is invariably the norm, the assailants in both instances escaped unchallenged after committing the crime. While it is too early to ascertain the motive of this second murder of a journalist within weeks (the first one was claimed by the Taliban), it is often the case that powerful groups, angry at being shown in a poor light for their wrongdoings, retaliate with violence. Journalists have to come to grips with all sorts of pressures, from criminal elements, terrorists, government officials and even the law-enforcement apparatus, which is why theirs is such a perilous calling. 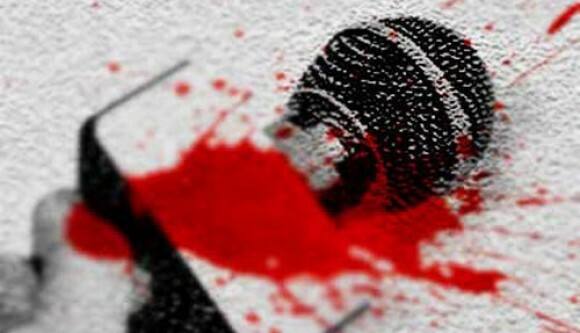 A report on safety of Pakistani media professionals presents a bleak picture of level of insecurity faced by them and calls for serious efforts by governments and media to change the present situation where those who kill, injure, abduct and threaten journalists are almost never punished. The Report on the Safety of Media Workers, released by Pakistan Press Foundation on the International Day on Impunity, documents that since 2001, 47 media workers have been murdered, 164 injured, 88 assaulted, 21 abducted and 40 detained. In addition, 24 media professionals died while covering dangerous assignments. There have been convictions in only two cases out of 384 cases of violence against media. It should also be noted that Pakistan ranks ninth on the Committee to Protect Journalists’ global Impunity Index, which analyses countries where journalists are murdered and their killers roam free. The government needs to end its apathy and help change this dire situation. It needs to take action to ensure media workers carry out their professional duties in a less intimidating environment. They should enjoy the level of freedom necessary to work unhindered to report on matters of public interest.